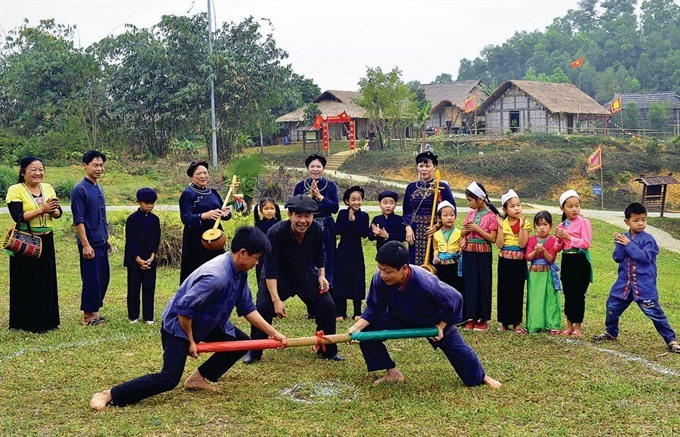 BẮC GIANG — The northern province of Bắc Giang will host a Culture – Tourism Week from February 14 to 20 with a theme ‘Discover Sacred Land in Tây Yên Tử’. The week aims to introduce provincial tourism potential and Tây Yên Tử culture heritage in particular. “We want to focus on Tây Yên Tử Holy Tourism Complex,” said Trần Minh Hà, director of the provincial Culture, Sports and Tourism Department. “Tây Yên Tử Holy Tourism Complex includes a system of historical, cultural relics and landscapes located on the west and north of Yên Tử Mountain to introduce to tourists and tourism companies”. The week will have various activities in the districts of Sơn Động, Yên Dũng, Lục Nam, Lục Ngạn and Bắc Giang City. Highlights of the week will include a Buddhism statue procession, a ceremony for peace and prosperity, a photo exhibition on Trúc Lâm Zen and the publication of the book Relics and Sightseeing in Tây Yên Tử. The 100-page book is compiled by historians from Bắc Giang Museum and published by Ethnic Culture Publisher. Thượng Pagoda and Hạ Pagoda inauguration will be held on the second and the fourth days of the week. This is a part of Tây Yên Tử complex which is being built by Bắc Giang Province with total capital of VNĐ300 billion (nearly US$13 million). In addition, Han-Nom woodblocks from Vĩnh Nghiêm Pagoda will be displayed during the week. They were listed as World Documentary Heritage by UNESCO in 2012.